The word marathon comes from a Greek legend that tells the story of Pheidippides, who ran from the Plains of Marathon all the way to Athens in 490 BCE to spread the news of the Greeks’ victory over the Persian army. The running race based on the story was first introduced at the Olympic Games in 1896. Marathon refers to a running race that stretches over 42 kilometres, or about 26 miles. Marathons require extensive training, sometimes lasting months, and completing a marathon is a significant accomplishment for most people. 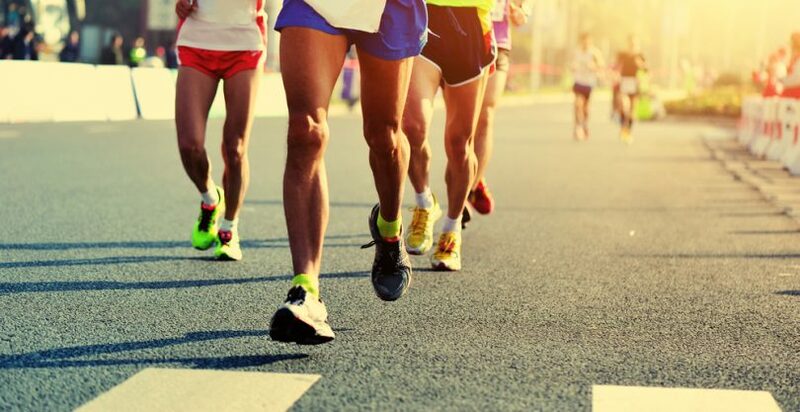 Marathons are held all over the world and the men’s marathon has been a part of the Summer Olympic Games since 1896 (the women’s marathon event was added to the Olympics in 1984). Most marathons are run on paved road courses, which are relatively straight and easy to navigate. Recently, ultra-marathons have become more popular. These marathons are run on more difficult courses that combine paved surfaces and dirt roads, mountain trails or other rugged terrain. Ultra-marathon courses also cover longer distances than traditional marathons – some courses can be 160 kilometres or more. Many marathon enthusiasts agree that the most gruelling marathon in the world is the Barkley Marathons, held each year in the woods of Tennessee in the United States. The Barkley Marathons course covers between 97 km (the ‘fun run’) and 160 km (the full course) and requires runners to climb roughly 16,500 metres, almost twice the height of Mount Everest, over a period of 60 hours. More than a thousand runners have attempted the Barkley Marathons and only 15 have finished, two of them more than once.